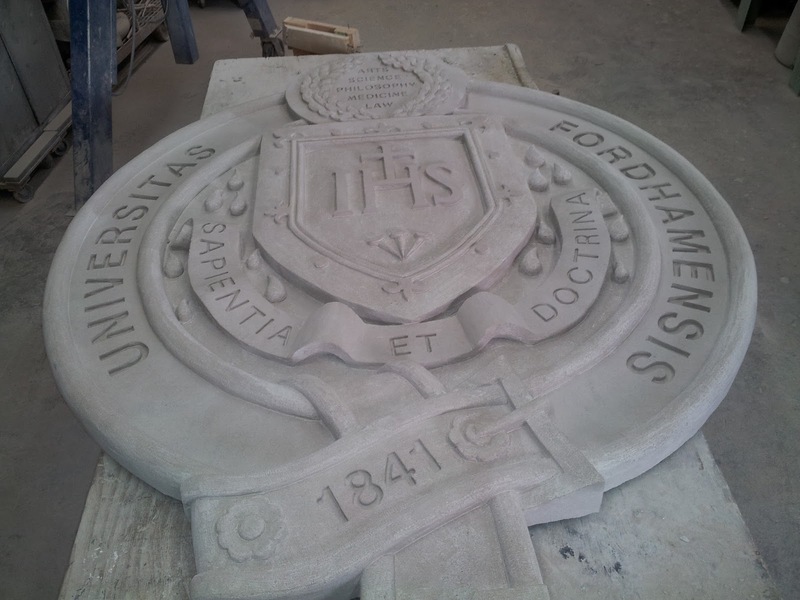 Petrillo Stone Corporation has a long history of working with Fordham University. Our relationship dates back 1935 when our founder, and my grandfather, Antonio T. Petrillo completed stone work for the school. 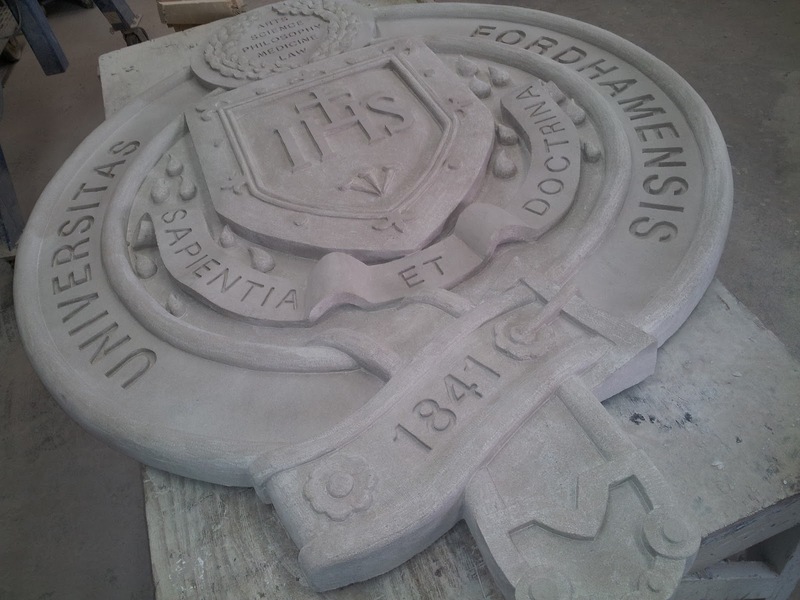 We recently have been working on stone carvings to be used at the new Fordham Law School building. 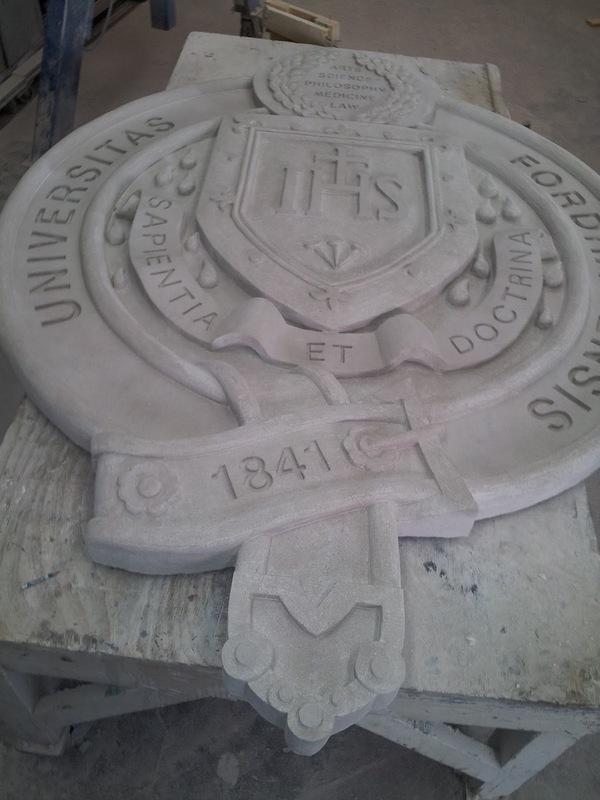 Pictured below is one of three stone cravings of the seal we are creating for the school. This craving on the seal is fabricated from Indiana Limestone. Another one will be made from Indiana Limestone as well and a third seal will be fabricated from Moca Crème limestone from Portugal.